Trio Vision Enterprises is counted among the most professionally active real estate firms in the city. It is a company of a team of young, dedicated and enthusiastic professionals, who work together to take the real estate sector to extraordinary levels. To serve our clients with honesty and to give them the best of services is what we look forward to. We seek to provide faster and reliable real estate solutions to our clients for buying, selling or renting properties. Our substantial network of business partners helps us to offer our clients residential and commercial properties with world-class infrastructure. Apart from these, we also engage in industrial and agricultural properties. Hartola is surrounded by Bhimtal Tehsil towards South , Nainital Tehsil towards west , Dhari Tehsil towards South , Almora Tehsil towards North . Address: Trio Vision Enterprises, B-85 RSM Indira nagar, near Bhootnath market Lucknow, Indira Nagar, Lucknow, Uttar Pradesh, India. 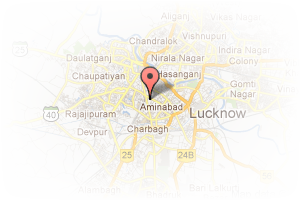 This Broker Profile page for "MAA VASHNO PROPERTIES" has been created by PropertyWala.com. 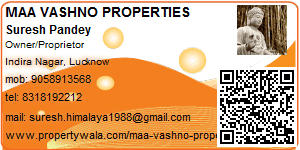 "MAA VASHNO PROPERTIES" is not endorsed by or affiliated with PropertyWala.com. For questions regarding Broker Profiles on PropertyWala.com please contact us.